14K Diamond Stud earrings - 14 K white gold 1/4 ct total weight screw post diamond stud earrings. Diamonds are I1 in clarity I-J in color. 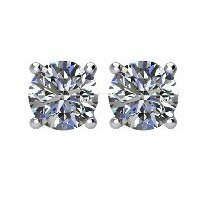 1/3 ct 14K Diamond Stud earrings - 14K white gold, 1/3 ct total weight screw post, diamond stud earrings. Diamonds are graded as I1 in clarity I-J in color. 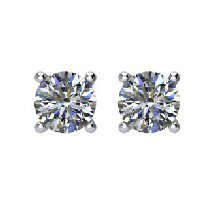 14K Diamond Stud earrings - 14K white gold, 0.40 ct total weight, screw post , diamond stud earrings. Diamonds are graded as I1 in clarity I-J in color. 14K Diamond Stud earrings - 14K white gold, 1/2 ct total weight screw post , diamond stud earrings. Diamonds are graded as I1 in clarity I-J in color. 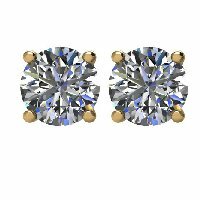 14K Diamond Stud earrings - 14K gold, 1/3 ct total weight friction back diamond stud earrings. Diamonds are graded as I1 in clarity I-J in color. 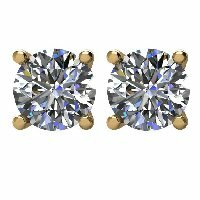 14K Diamond Stud earrings - 14K gold, 0.40 ct total weight, friction back diamond stud earrings. Diamonds are graded as I1 in clarity I-J in color. 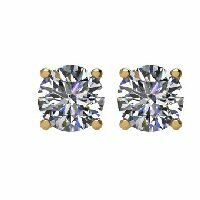 14K Diamond Stud earrings - 14K gold, 1/2 ct total weight friction back diamond stud earrings. Diamonds are graded as I1 in clarity I-J in color. 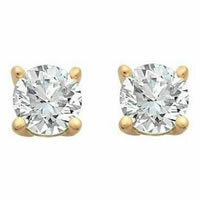 14K Diamond Stud earrings - 14K gold, 1.0 ct total weight, friction back diamond stud earrings. Diamonds are graded as I1 in clarity I-J in color. 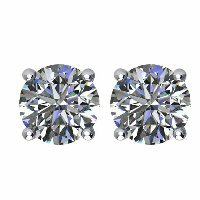 Round Diamond Stud earrings 0.25ct - 14 K gold 1/4 ct total weight friction back diamond stud earrings. Diamonds are I1 in clarity I-J in color. 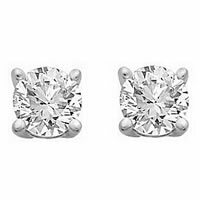 14K Diamond Stud earrings - 14K white gold, 1.0 ct total weight, screw post, diamond stud earrings. Diamonds are graded as I1 in clarity I-J in color. 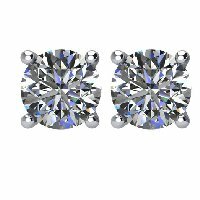 14K 1.50 ct Round Diamond Earrings 1.50ct. 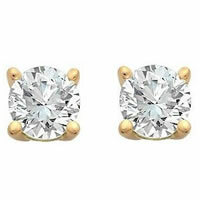 - 14K gold, 1.50ct total weight friction back, diamond stud earrings. Diamonds are graded as I1 in clarity I-J in color. 14K Diamond Earrings 2.0ct. 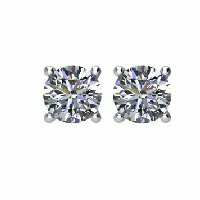 - 14K white gold, 2.00ct total weight, screw post, diamond stud earrings. Diamonds are graded as I in clarity I-J in color. 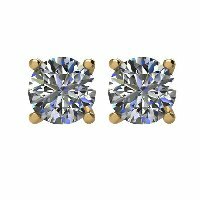 14K Diamond Stud Earrings - 14K gold, 2.0ct total weight, friction back, diamond stud earrings. Diamonds are graded as I1 in clarity I-J in color. 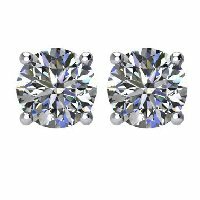 Diamond Stud Earrings - 14K white gold, 0.75 ct total weight, friction back diamond stud earrings. Diamonds are graded as I1 in clarity I-J in color. 14K 3.0ct. 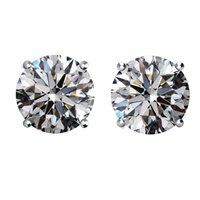 Round Diamond Earrings - 14K white gold, 3.0ct total weight, friction back diamond stud earrings. Diamonds are graded as I1 in clarity I-J in color. 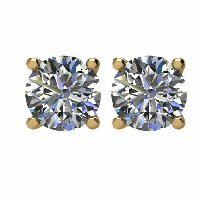 14K Yellow Gold Diamond Stud Earrings - 14K gold, 0.75 ct total weight, friction back diamond stud earrings. Diamonds are graded as I1 in clarity I-J in color. 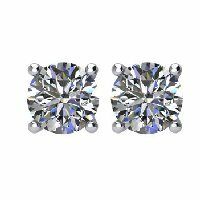 14K 1.50ct Diamond Stud earrings - 14K white gold, 1.5 ct total weight, screw post, diamond stud earrings. Diamonds are graded as I1 in clarity I-J in color.